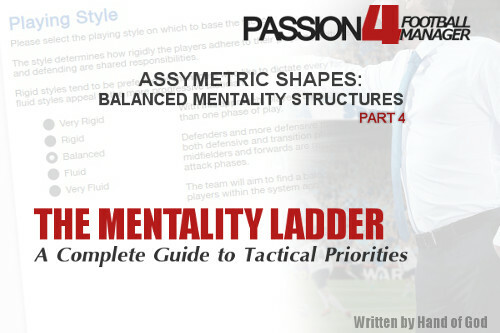 Following the structure of the Football Manager Mentality Ladder, here is part 4 about the balanced mentality structure. 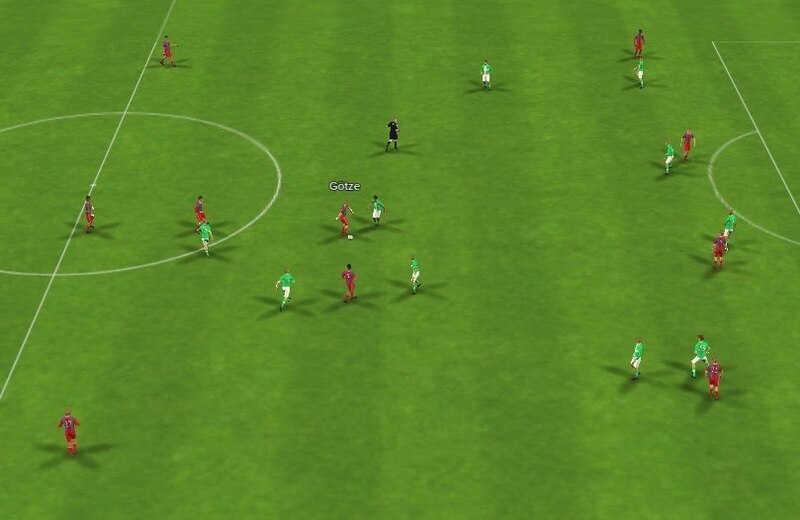 Here ‘The Hand of God’ analysis the balanced mentality, a setting or structure which can often be entitled as asymmetric shapes when creating a Football Manager tactics. This part will provide you an in-depth look on the different player roles and positions rung of task and tactical priority in the balanced mentality. The Balanced mentality structures divide the team into three units based on the duties assigned to individual players. As with fluid structures, a more cautious defensive unit provides a stable, structural core that frees a more adventurous attacking unit to get forward aggressively, though this is further balanced by a “supporting” unit that serves to provide a more consistent link between the two. However, since a player’s respective unit is defined by his duty rather than position, this gives the manager greater flexibility in refining his defensive and attacking shape to fit the personnel at his disposal. Consequently, Balanced mentality structures can accommodate a high degree of either duty-based specialization or general versatility. Certain balanced mentality structures are subject to the Controller Effect. Essentially, under a more defensive team mentality, using certain roles with a lower tactical priority than other roles in the same position will cause others on the team to become slightly more aggressive. 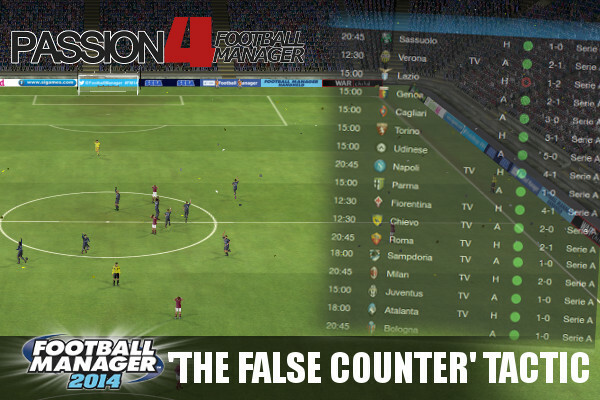 The Controller Effect applies to balanced contain, defensive and counter mentality structures that use a Deep-Lying Playmaker at CM or a Sweeper (that is, the role, not the position). In the following outlines, you should move each outfield player (with the exception of sweepers, DLPs at MC, APs at AMLRC and trequartistas at ST) up one position on the mentality ladder for Defensive mentalities and up two positions for Contain if the mentality structure is subject to the Controller Effect. Keep in mind, the Controller Effect does not affect other sweepers or CM-DLPs, and the alterations imposed by the Controller Effect are the same regardless of how many controller-playmakers are used.